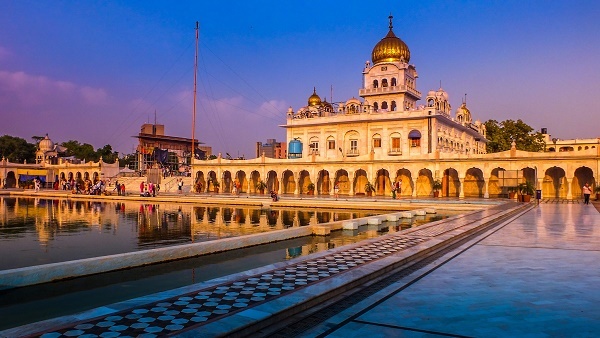 New Delhi is India’s premier city, its capital no less, and a melting pot of cultures with a montage of remarkably captivating ancient structures. The city of New Delhi is about 5000 years old, which means that contrary to what the name suggests, New Delhi is part of India's oldest areas. New Delhi's cityscape is a beauteous landscape of tree-lined avenues, laid out in an interesting layout of triangles and circles. The city's climate is a humid-subtropical one typical of most Asian countries. There's definitely no shortage of sunshine in India because summers last from April to October. Temperatures may range from a low of 14˚C to highs of 33˚C. However, there is Monsoon season from June to October, characterized by rain and occasional floods. This is definitely not the best season to experience New Delhi. Winter begins in November, with January being the coldest month. Due to its proximity to the Himalayas, cold fronts and foggy nights from the chilly mountains are not unusual. The city's demography speaks of its history. New Delhi had seen a cultural influx from the number of invasions it went through. The 12th century saw the Muslim invasion and brought in not only a considerable number of migrants but also a new religion. New Delhi has a population density of 4,909 people per square kilometre. Metropolitan Delhi is actually the seventh most populous city in the world with a population of 15.3 million people. Hinduism is still the widely observed religion, with 82% of the population still practising this ancient belief. There is also a considerable number of Muslims forming 11.7% of the city's inhabitants. Start off on the right foot by packing the right kind of clothing. Veer away from clothes with thicker fabrics, your wool jacket and fur coat would not be necessary. Clothes in cotton fabric or any light fabric are best. Winters or monsoon season can get cold, but not cold enough to warrant the need for fur. Layering clothes would be your best bet, so make sure to bring at least a couple of good jackets or cardigans. Bringing some sunscreen and moisturizers would also do great for your skin, especially during the really hot and humid summer season. An umbrella would also be your best friend, both in sunny and rainy weather. Although New Delhi is a cosmopolitan and generally urbanized city, water sources are still not 100% reliable, so those who have sensitive tummies are best off to always have a bottle of mineral water handy. They say New Delhi is a historical treasure trove. And indeed, expatriates find the city to be less like a vacation destination to explore than a new home to thrive in. Culture shock is one of the primary things that expats experience when moving abroad, but that won't be a problem if you choose to relocate to New Delhi. This city is widely known as India’s melting pot of the most culturally diverse population. You will find your piece of home in New Delhi since more and more parts of it are being reconstructed and improved to meet the needs of the growing expats population. Its economy may not be as powerful as Mumbai’s, but you will appreciate its unstoppable and rapid growth over the years. Today, major industries like telecommunications and IT are opening jobs posts where competitive professionals like you are much needed. We have here a couple of helpful guidelines that can help you in securing a successful relocation to New Delhi. Some lucky expats arrive in New Delhi with an accommodation waiting for them as part of their employment package. If this is not part of your relocation perks or if you are moving for different purposes, you need to start your housing preparations as early as possible. You can browse through online portals that post real estate properties in New Delhi a few weeks before you relocate. It will give you some idea about the city’s housing market and how much you need to prepare for the rental budget. The fastest and most efficient way for you to get the best place is to hire a local realtor who is more familiar with the neighbourhoods and has a very wide of available options in the market. The average cost of your monthly utilities (water, electricity, gas and garbage collection) in New Delhi is €55. An unlimited internet connection with a minimum speed of 10mbs usually costs €20 while local mobile prepaid calls are charged at €0.05 per minute. The rents in New Delhi are considered to be higher than other cities in India because of the increasing demand and insufficient supply in the housing market. The most common types of accommodations are villas, condos and high-rise apartment buildings. Negotiation with a landlord usually takes a couple of weeks, and you can choose between a short term and long term lease agreement. Three months deposit is considered to be enough since it is quite a common problem for tenants having problems getting the deposit after the contract. Most expats are living in the city centre of in South Delhi where the price of a one bedroom apartment starts at €220 per month and €530 for a three bedroom unit. There are also rentals in neighbouring districts where a one bedroom flat generally costs €150 monthly, and a three bedroom unit is around €300 per month. English is a widely used educational institution in New Delhi so you don’t have to worry about language barrier. However, most expat parents choose to enrol their children in international schools where they can continue with the curriculum from their home country and are among other foreigners. The most popular choices are the British and American Embassy School, or you can consider the Delhi International School (DPS), which follows the International Baccalaureate Program (IB) in their curriculum. New Delhi is considered to be India’s academic hub where many public and state schools are rising above the competition. One of the most prominent local schools in the city is the University of Delhi which has been providing quality education since 1922. Bringing your pet to New Delhi requires important documents like its Rabies Vaccination Certificate, Vaccination Record, Import Sanitary Permit endorsed by the Department of Animal Husbandry and Dairying, and Import License from the Directorate General of Foreign Trade. You also need to ensure that your pet has a microchip which is the only form of animal identification honoured in the city. Despite its many inhabitants and the high cost of living, New Delhi is still a good choice when relocating abroad. You will see its proof with the thousands of expats and immigrants who are now calling this city as their new home. New Delhi is the capital city and the seat of Government in India. Among the hundred cities in the country, it has been chosen to take part as one the smart cities for Prime Minister Narendra Modi’s flagship – Smart Cities Mission. With Delhi’s rapidly evolving economy and the government’s fight to mitigate poverty, its now wonder this city is the spearhead that will lead India as well as its people to a better and more progressive life. As of 2016, New Delhi has a recorded estimated population of 25.7 million which makes it the third most populous city in the world and the largest city in India when it comes to the land area. Historically speaking, New Delhi is considered as one of the most ancient cities in the world, along with Rome and Jerusalem. The local legends say that it is now nearly 5,000 years old and has been destroyed and reincarnated 11 times. Millennia had passed, and today, New Delhi has beautifully evolved into a vibrant, multi-cultural city. Expats that are brave enough to scratch beyond its surface of bustling streets and massive population will soon find out that India’s capital is a treasure chest of rich culture, magnificent museums and sumptuous local cuisine. And like the horizon, New Delhi is the place where the past and the thriving present embrace. 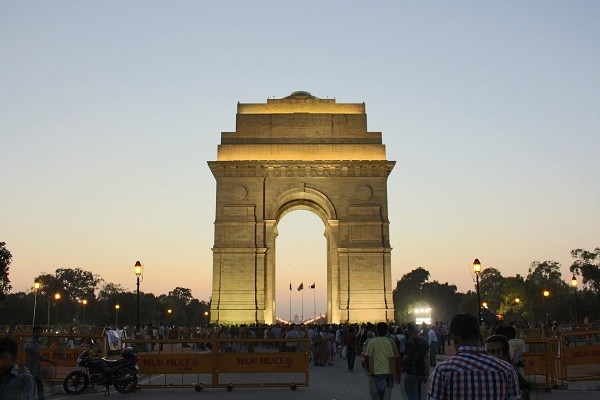 New Delhi is fresh and modern to the eyes of many locals plus the incoming expats in the city. Spending some quality time with the expat kids is imperative and can be done in numerous ways. Visiting museums and galleries in New Delhi is an extraordinary experience. The Shankar’s International Dolls Museum is where expat kids will see the finest collections of dolls in the world. Other museums to discover are Nehru Planetarium, National Science Centre, Stellar Children’s Museum, National Rail Museum and the Bal Bhawan National Children’s Museum. Another must-see in this city is the famous Lal Qila (Red Fort), a magnificent and breathtaking red sandstone fort that was built by the Mughal Emperor Shah Jahan who also built the Taj Mahal. The Red Fort features a light and sound show from 7:30 pm until 9 pm. One of Delhi’s prides is its local dishes and since it has always been a destination for migrants, expats should expect that the food is also influenced by various cultures. A sidekick to the thick, mouth-watering curries is the bread which is used to mop up a saucy dish. In Delhi, no household will serve a meal without a Naan, Roti and Chapati which are soft, leavened and freshly oven or clay-baked bread made from white flour. Another must try in this city is the Butter Chicken which one of the locals’ and tourists’ favourite. The Butter Chicken is roasted meat with lots of spices, tomato and cream mixed with a thick gravy of butter. Those who are yearning to have a taste of New Delhi’s sumptuous local dishes can head to Chandni Chowk, the Food Capital of the city. Expats living in New Delhi can either rent or buy a car but must be aware of how chaotic the traffic can be in the city. Most of the expats in the city prefer to hire drivers and pays them on a cut-off basis. This is to avoid the hassle of roaming around the city while driving and instead of enjoying their stay out of the wheels. The city also has auto rickshaws and taxis which can be a better option for expats who would like to get around the city in an easier way. Banking in New Delhi can be very stressful for expats. In most cases, it is still advisable for many to inquire for international banks if they are still on plans of exchanging money or remitting abroad. Employers may also have an arrangement of opening an international bank account for their expat employees. Some of the banks found in India are Bank of India, HSBC, Sumitomo Mitsui Banking Corporation New Delhi Branch and the Delaware National Bank of Delhi. The culture may be different in India especially for expats coming from Western countries, but they may find it a bit easier to adjust to life in the city since there are lots of expat communities to mingle with. Most of the people in New Delhi are also familiar with speaking in English, and the two of the hurdles that most of the expats might encounter is dealing with traffic and with the chaotic streets. A grim side to this city that expats must prepare to see is the poverty. They shouldn’t feel surprised if a beggar or someone asking for money approaches them in the streets. Just be extremely cautious because local Mafias control most of the inner territories and the beggars. And last but not the least, India, in general, is a very conservative country and Delhi is not an exception. Though expat women are not required to wear Sari (traditional Indian dress), it is still best to cover up and dress modestly.